*The T3PLLä38 receiver was used as a low frequency communications receiver in addition to a direction-finding instrument. *Note: Because of the complexity of the entire U-boat 280 S Direction Finding System, of which the TT3PLLä38 receiver is only a part, click on "Drawing 3," so that you can see how the receiver, power supply, directional gyro compass wheel, and rotating loop antenna work together as parts of the entire system. 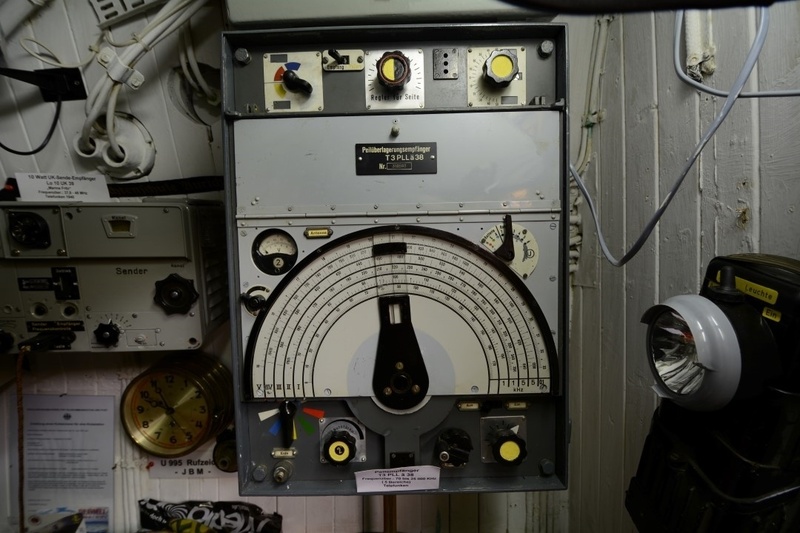 *It operated on Band V 15-33 kHz (used underwater) and Bands I-IV 70-1200 kHz. *Before or after you have enjoyed the close-up photographs of the T3PLLä38 receiver, please click on the header title "Technical Page 1" for a detailed look at the electronics of this radio.